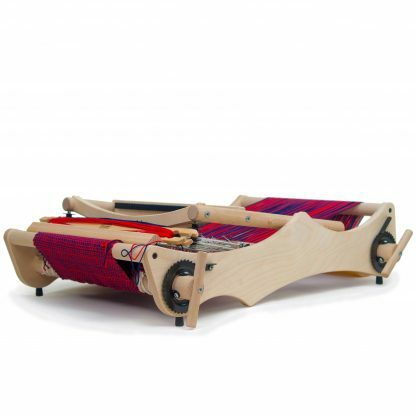 The Erica loom is available with in a 30 cm (11.75″) weaving width. 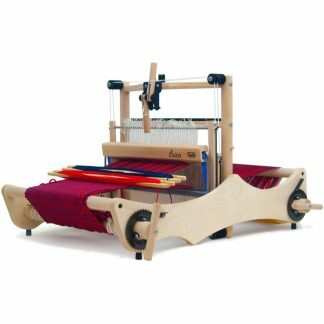 In early 2018 a 50 cm (19.5″) weaving width version will be available, along with a floor stand, accessory package (unfinished warping posts, 2 flat shuttles, and a threading hook) and bag. 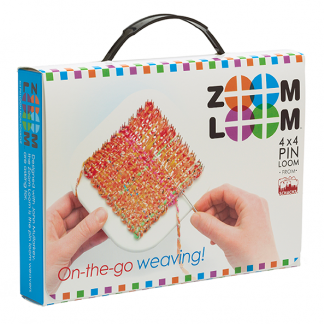 Perfect little tiny loom! The size is great, because I can put it away for storage away from the cats, or bring it out to the table for weaving. 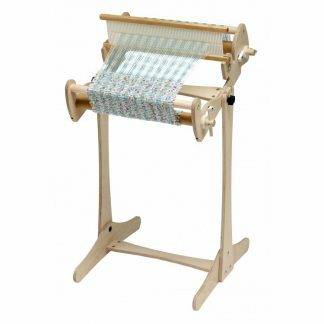 I initially bought it with 1 extra shaft (3 total) but then I decided to make a twill scarf, and purchased a 4th shaft. This flexibility is what drew me to the Erica in the first place, and I’m very pleased with it. The instructions to build it are very clear, and easy to follow, it probably took me a couple hours, but I’m pretty handy with that sort of thing. There are a lot of little bits, but they come pretty well organized, and as long as you keep them organized, the construction goes pretty quickly. It’s a pretty sturdy little loom, easy to warp, easy to weave on. 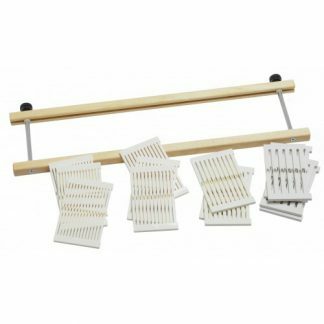 Definitely a good investment for sampling 4-shaft projects, or for doing a quick scarf when you have something else on your main loom.